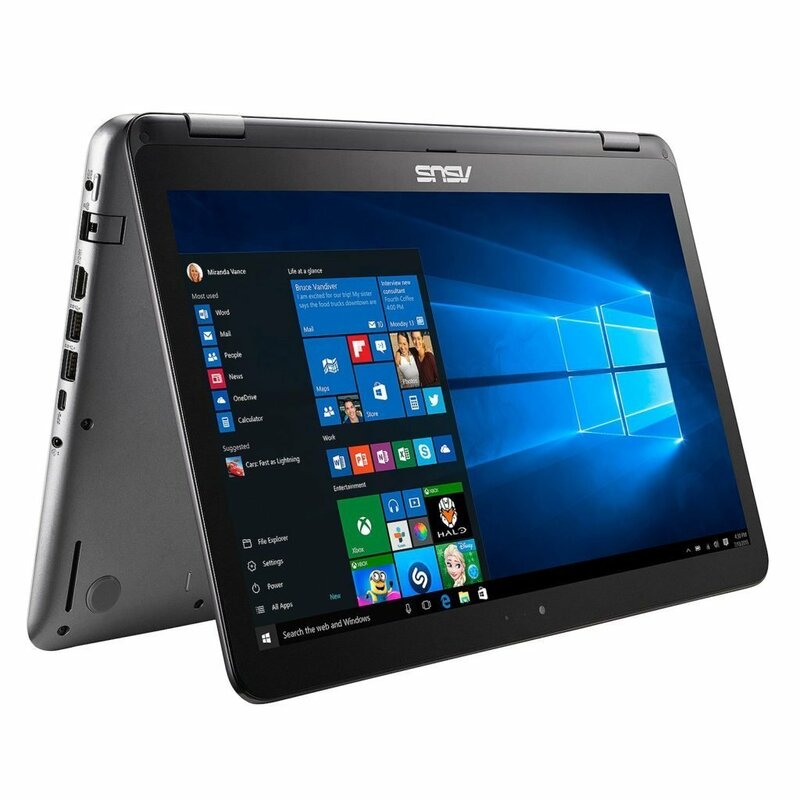 This is an impressive 2 in 1 that does a great job at working the balance between an effective laptop and the utility of a 2 in 1. With a price around $830 dollars you still are not quite paying for a high end computer. So it is nice to find a fully functioning laptop with touchscreen capabilities that is so affordable. Finding the right laptop comes down to a few factors. The most important one is if it has the features you are looking for whether it be gaming, professional graphics work, touchscreen or just your standard use. This one can handle everything except for professional graphics work at a pretty efficient level. 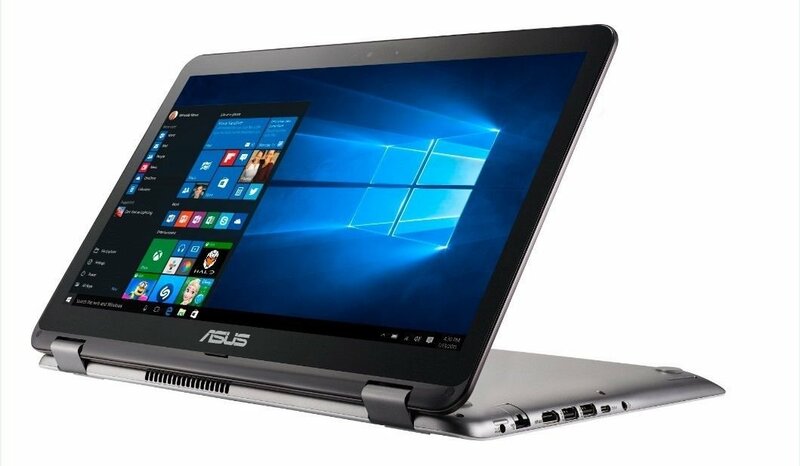 It is pretty extraordinary to find a laptop that will be perfect for users looking for a powerful touchscreen under a thousand dollars so ASUS deserves a round of applause and our main page. It might not be the slickest model you have ever seen but looks pretty good with a simplistic design style more focused on this machines functionality than standing out. With a 15.6 inch screen and a nice maximum native resolution of 1920 by 1080 you get full HD out of this LED Lit touchscreen. An impressive combination that will standout in any environment with its anti glare coating. The color concept uses black and silver with the exterior cover sporting a simplistic striated line pattern, think something similar to black concrete with a bit of design intent. You probably won’t see that too much though as this computer can fold back the full 360 so you can set up the rig in whatever position is necessary for the moment. You won’t send it out first for a runway show but this 2 in 1 does everything you would expect a laptop tablet to do and is slim and relatively light around 5 pounds. As the backbone of the machine you need to have a strong processor so you aren’t constantly waiting for operations. With this in mind ASUS did well in providing this Intel core i7-7500U processor capable of overclocking up to 3.5 ghz. When it comes to processor’s from intel they are either performance tuned or efficiency tuned, and this one has the U that symbolizes efficiency. Often these models will be much slower than their performance tuned brother, but in this case since it is a i7 the speed is still pretty good. With a 4 MB cache this is just about the right processor you would like to see in a machine like this. Power efficiency isn’t as big of a deal for a normal computer but for a tablet capable laptop it is quite a blessing. Looking over this model this is the real area that draws your eyes and sets this 2 in 1 apart from much of its competition. You don’t often see tablets that have more powerful graphics cards than the majority of normal laptops. This one has an nVidia 940 MX graphics card with 2 gigs of personal VRAM. Not the most powerful graphics card on the block but well beyond what you will find normally, and enough power to at least run near every game on the market. It will even work in a pinch for a bit of professional graphics work. When the graphics card out performs a computers screen size and resolution the options for use really open up. Not many tablets can be plugged into a monitor and used as a gaming computer. RAM backs up your processor to make sure everything functions at an expedient pace. So when you are diagnosing the RAM situation if often comes down to breakpoint to where you have enough RAM to do the tasks you need to do. This laptop comes with 12 gigs of DDR4 RAM which represents a pretty nice breakpoint to have. The DDR4 is a bit more efficient than the DDR3L coupling well with the processor to give you great speed without leaving you empty after a couple hours. 12 gigs is a great stopping point that will be sufficient for the majority of computing activities. After the graphics card this part is a bit of wow you gotta be kidding me as it is also quite impressive and beyond what you will find in many competitor. Solid state drives are all the rage because they greatly boost your computers speed and power consumption but on the other hand they often don’t offer too much space. Still the 256 gig SSD is as big as you will find below the premium end of computers. 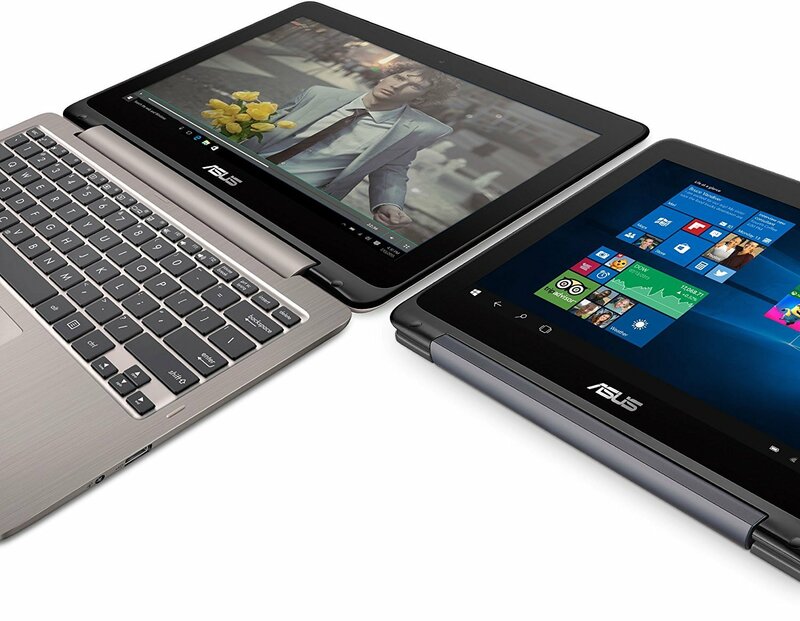 Just having that would be nice, but ASUS went the extra mile and also threw in a 1 terabyte HDD for storage space. Nothing to complain about here and that is quite rare especially for a 2 in 1. Outside of the ability to fold into four positions for use this laptop still brings some other useful tools. With some great connectivity we have a USB type C, two 3.0 USB’s with their ten times faster speed, and a 2.0 USB so it makes a good hub. Continuing on the basics of a mini card reader, 802.11a/g wireless card, dual array digital microphone, and wide vision HD webcam. A bit of extra flair comes with the tools that we usually take for granted. Nothing too insane but it makes the overall package look even better. By now you have probably realized that this is a great buy. You just can’t ignore how nicely all of the facets of this model come together. If you saw a laptop with this type of speed, graphics, and storage without the touchscreen for a similar price it would still be worth the purchase. So that should give you a bit of a hint towards the overall value. Touchscreen’s aren’t supposed to be good for gaming and the HDD SSD combo is a tremendous boon that other laptops need to start following. This is a jaw dropper that should suit most users really well only falling short for the truly specialized.